Flooding the already crowded tablet market in India, Zync has launched three new tablets – Zync Quad 9.7, Zync Dual 7.0, Zync Quad 8.0 tablets. Out of the three, the most impressive and spectacular one about which we’re excited to write is Zync Quad 9.7 tablet as this tablet is the first among cheap tablets to bring Super HD IPS LED display with lots of pixels(2048 x 1536) on screen at affordable price of just Rs.13,990. Let’s review each of these tablets in detail here. Zync Quad 9.7 android tablet features 9.7 inch screen as evident from its name. What’s interesting is the screen resolution as the tablet has screen resolution of 2048*1536 pixels (higher than Full HD – 1920*1080). Technically speaking, we can’t call this display as retina display because retina display is proprietary trademarked terms coined by Apple. But, with such high screen resolution, this tablet is first of its kind to arrive in Indian market at such cheap price and is certainly attractive deal. This IPS display supports 10-points multitouch. Apart from the gorgeous display, Zync Quad 9.7 also has rocking raw hardware power as it has Quad-core processor with clocked speed of 1.5GHz and Mali-400 MP4 GPU. Based on GPU and screen resolution, we think that the processor chipset is Rockchip RK3188, which supports full HD video playback. To accompany this raw power, this tablet doesn’t compromise on its RAM amount as it has 2GB of ample RAM to suit all kinds of multitasking needs. It may seem disappointing for some users as this tablet doesn’t have bluetooth. It also doesn’t have sim card slot so you’re limited to using WiFi to access internet or external usb datacard. This tablet weighs about 603 gram. It has 5 megapixel camera at the back and a 2 megapixel camera at the front so you can easily do video-calling online via skype or other such video-calling apps. It packs battery of 8000mAh capacity as well. Another plus point is that it runs Android 4.1 Jelly Bean. Zync Quad 9.7 price is Rs.13,990. Apart from Zync Quad 9,7, the company also launched smaller variants with less resolution priced slightly lower. 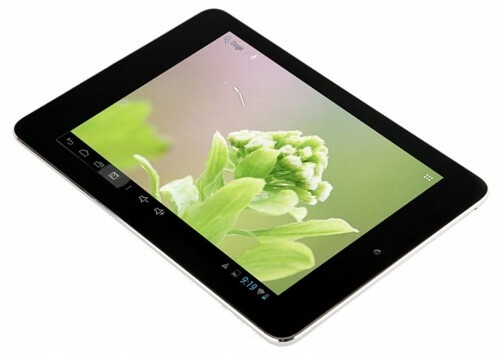 Zync Quad 8.0, as the name suggests, feature 8-inch screen with resolution of 1024*768. It has battery of 5400mAh and we think that the battery of lower capacity has been fitted here because of the less power requirement owing to lesser screen resolution in comparison to Quad 9.7 model. And because of lower battery capacity, the weight also decreases to about 471 gram. Rest of the specifications are same as Zync Quad 9.7 model. Zync Quad 8.0 price is Rs.12,990. 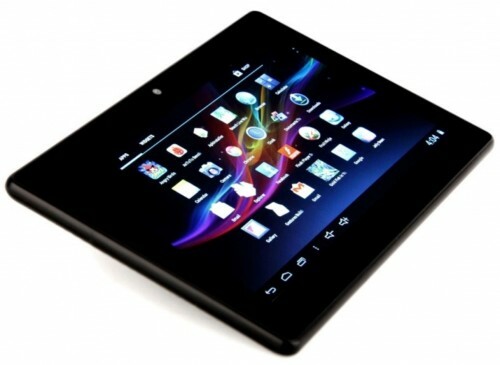 Zync has also launched a smaller 7-inch dual core model named as Zync Dual 7.0. The screen resolution of this android tablet is 800*480 pixels. The display supports 5-points of multitouch on this model. 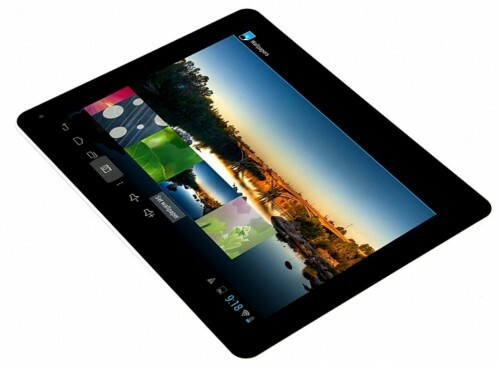 This Zync Dual tablet as its name suggests is powered by dual core processor of 1.6GHz clockspeed and Mali-400 GPU. It has 1GB RAM. Based on cpu/cpu specifications, we think that the processor chipset used here is Rockchip RK30xx series. It weighs 313 gram and has battery of 3000mAh capacity. There is 2mp rear camera and 0.3mp front camera. The internal memory is 8GB with support for external micro-sd card. It also runs Android 4.1 Jelly Bean. Zync Dual 7.0 price is Rs. 5,990. The price difference between Zync Quad 9.7 and 8.0 is just of Rs.1000 so by spending 1000 more bucks, you can get 9.7 model with higher screen resolution, battery, which in my view is good choice. On account of screen resolution, we can say, Zync Quad 9.7 is strong iPad 4 competitor with half the price of Apple iPad 4, but we can’t comment much on the performance and other benchmarks yet until we get out hands on this device. You can buy Zync tablets shortly either online or from nearest retailer. I’ve also checked Zync official website so you can get service anywhere in country via its drop-pickup type warranty service in which the company arranges reverse logistic pickup in cases of complaint and deliver the repaired product back to your address. This strategy is useful when the company doesn’t have ‘all over India’-scale service centers, and in some cases convenient for consumers to avail warranty services. What do you think of these Zync tablets? Feel free to express your opinion! Hi… Actually, i wonder why Quad 10.1 is higher in price than quad 9.7. ? Can u please help to clear this doubt ?